Hi. We're back with another Me Moment. 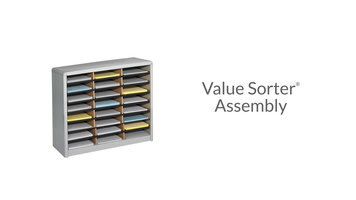 Today we'd like to talk to you about Safco's value sorter literature organizers. Safco's value sorters are not only some of the more versatile organizers available, they're some of the most economic, as well. Available in black, grey, medium oak, and sand, the value sorters accomplish a lot with very little cost. With 24, 36, and 72 compartment units, you can outfit your organization with the perfect size for the needs of each department. Our mail room uses several of the 72 compartment organizers due to the amount of employees they cater to. 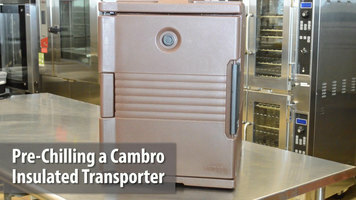 These units have steel frames and support shelves, as well as heavy-duty corrugated compartments. You'll find built-in label holders with labels included. Many schools and offices use the value sorter organizers for an easy way to administer or accept assignments. Thank you for joining us for this Me Moment. Please join us again to find out how Safco can help you work hard and play harder. Check out this video to learn how easy it is to properly operate and clean your Avantco MX20 Mixer! 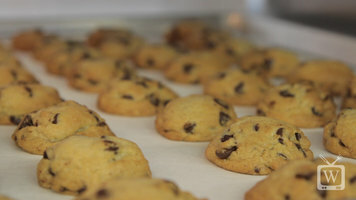 With my step by step instructions, you will be creating perfect batter, dough, mashed potatoes and more in no time!